Perfectly balanced with the flavored soft-boiled egg and al dente ramen. The pork chashu was much more lean than majority of its competitors. I actually prefer a little fat for that melt in your mouth texture but there’s so much pork fatty goodness here it doesn’t really matter. A t 1:30 pm on a Tuesday, this placed was at capacity with groups waiting outside. The plaza has plenty of parking but limited seating inside. I know this bowl of ramen won’t be for everyone, as it’s very fatty and salty. Blasphemy. In my opinion, you shouldn’t even be eating ramen if you don’t get down with salt and fat. 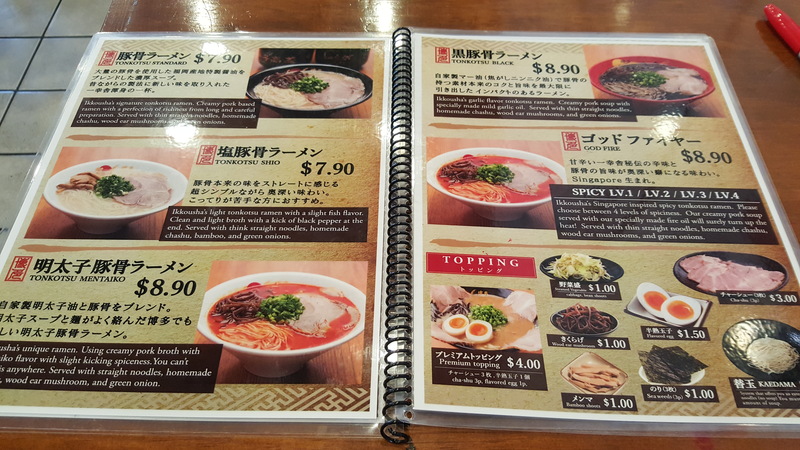 Hakata Ikkousha has earned its place among my list of go-to ramen joints. 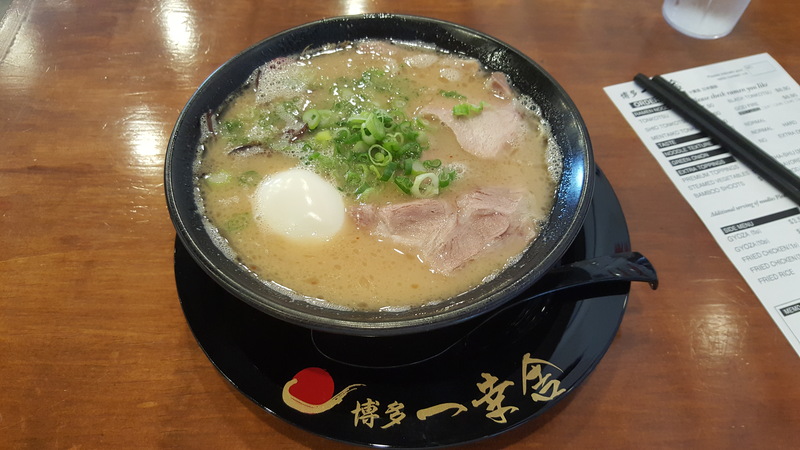 Easily one of the best tonkotsu broths around.